A young woman with blond hair exercises using rubber tubing, which is designed to provide resistance using your own body weight. 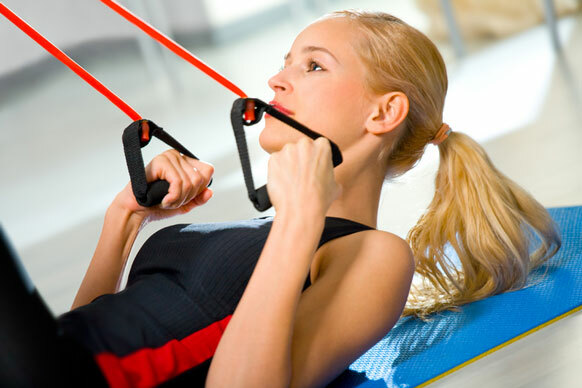 The black and red rubber tubing matches the woman's exercise clothing. This type of exercise equipment is lightweight and portable, making exercising at home or on the go easy.